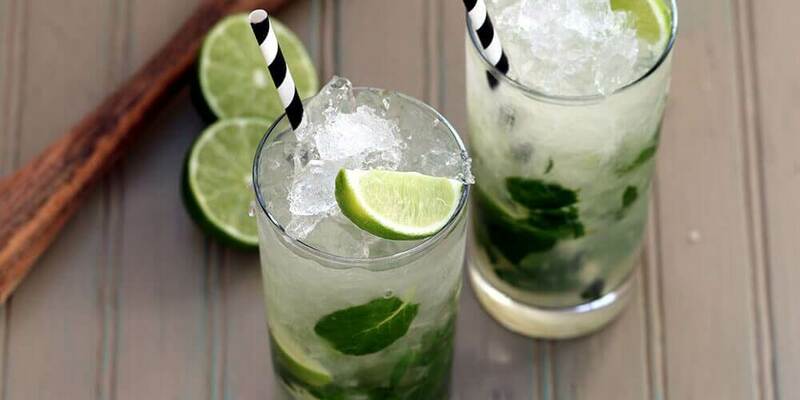 Originating from Cuba, the minty, limey mojito may be the most refreshing cocktail in the world. Place the mint leaves and lime wedges in the bottom of a heavy-based, tall tumbler. Add all of the remaining ingredients and top with crushed ice. Stir with a long spoon and garnish with a sprig of fresh mint and a lime wedge.